The newest addition to our building sets is sure to score big! Now available, the NBA shootout set! Big court action in your 60-piece set. Each court is printed with team logos and real court detail to give you an authentic shootout experience. 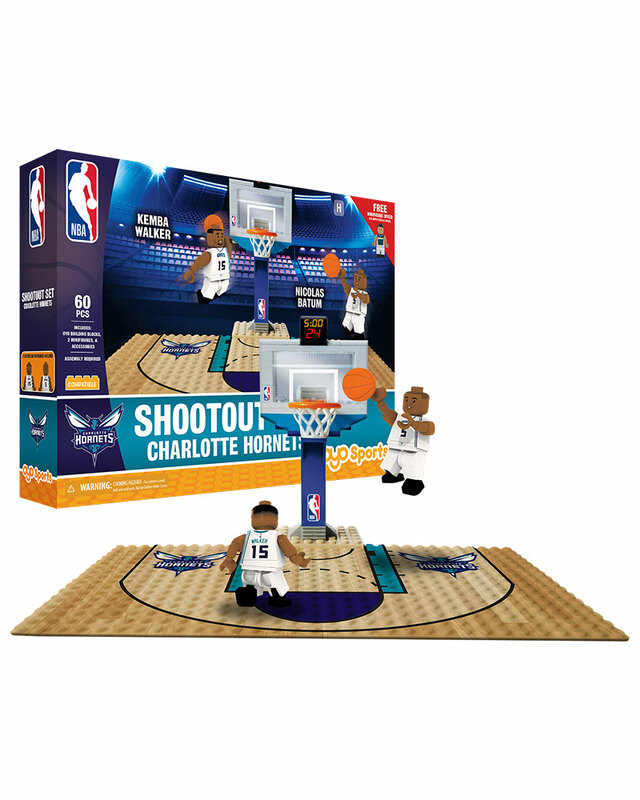 This set includes two team minifigures of top players on the team!